This post, Travel to China from the Comfort of Your Couch, was written for Sonlight Curriculum. Snuggling up on the couch while reading and discussing literature is a great way to build family bonds, so with Sonlight, most of your History, Bible, and Literature are couch subjects. 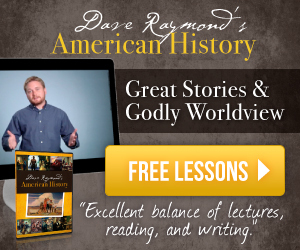 These subjects are easy to combine because they are stories, and children love stories. So, let's cuddle up because the stories we will read on the first stop of our all-inclusive Eastern Hemisphere trip will bring China's history, culture, and people alive and will help us understand the impact China has on our world. As your tour guide through History / Bible / Literature F, I'll be sharing top travel tips such as: how to help your students work efficiently and independently in the Eastern Hemisphere Notebook, how to use the Ancient China Kit, and a practical Choose Your Adventure tip to help you get the most out of your time in China and still have some downtime to enjoy the scenery. Please refer to your Eastern Hemisphere itinerary, the HBL F Instructor Guide (IG), for all that you will need to unpack this trip — all the books you will read for the unit on China, which is about the first 5 weeks of the IG. Travel Tip: If you haven't already, consider putting the All Nations Shall Worship CD onto a portable device. Just upload the CD to your computer and sync to your device. You can then listen anywhere in the house or on the go. The Journey to the Eastern Hemisphere book contains all the information your student will need to complete Sonlight's Eastern Hemisphere Notebook Pages. See the entire China unit in the sample provided here. Just click on Samples and then on each link to see the inside of the book, the schedule, and the notebook pages. Unique to Level F, the Eastern Hemisphere Notebook Pages correlate directly with the Journey to the Eastern Hemisphere book, so this is a great level to transition your student to more independent learning. I can never give my child too much help, but the more help I give, the less help they need. It pays off when my students get the hang of it and can work independently — giving me the break I need. Once I showed Malachi, 12, and Eliana, 10, how to read the book on their own, take notes, and use their notes to journal in the notebook, it has been painless. They work independently and quickly. The only problem we have is a numerical one — two kids and only one book. The HBL F IG schedules small notebooking breaks after each country, while scheduling in a history book that I read to the kids — giving them the break they need. 4-inch sticky-note pads make great little notepads for making outlines. Help your students focus on the main idea of each paragraph in the Journey to the Eastern Hemisphere book by creating an outline with keywords they feel are important. Then have them close the book and use their outline to write in the Eastern Hemisphere Notebook. 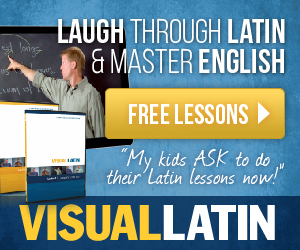 This encourages good note-taking and summarizing skills. Have them think of it as a journal of their travels and encourage them to write about facts that are interesting to them, as suggested in the IG. If my students are truly stuck, I have them do what I would do — look at the IG for the answers. The connections your child will make with these characters and their adventures will make it easy for them to develop a love of learning. The stories themselves are inspiring and full of character building lessons that enhance your student's learning. We learned the secret to happiness in Where the Mountain Meets the Moon, an enchanting Chinese fairy tale about learning to be content. It was such an amazing story and perfect first read aloud for this particular school year as I focus on being content in my homeschool. 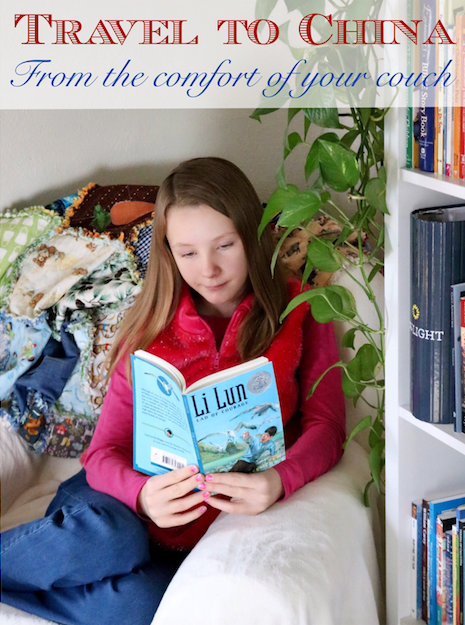 We learned important life lessons about growing up in Young Fu of the Upper Yangtze. Young Fu makes lots of mistakes on his journey to manhood while trying to find his way in the world. We not only learn these life lessons, but we also feel and experience what it was like living in bustling 1920s Chungking, a city on the Yangtze in southwest China. At the back of this book is a glossary of Chinese words, and I quickly flipped to the back so I could learn some of the vocabulary and pronunciations. There is also a notes section with cultural information relevant to certain chapters. These are optional, of course, but we read a few of them. The highlight of this book was all the words of wisdom and advice Young Fu receives and takes to heart. Sonlight compiled this kit to offer children engaging activities to learn about the Chinese culture. This kit comes with the HBL F package, but the activities are not scheduled in the IG. 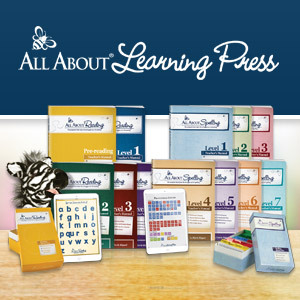 These activities are great for hands-on learners. My daughter, Eliana, especially likes doing hands-on projects and activities, so she was the first to open the kit, but Malachi didn't hesitate to jump in to play the games which was more his style. China Kit Manual with instructions on how to make a kite, how to play two Chinese games: Tui-u, Piaja and Tsoo! Tsoo!, information on chopsticks and the Chinese language. Rice Paper to use with the calligraphy kit. The China Kit Manual has instructions on how to make the ink by wetting the tip of the ink stick and grinding it against the edge of the ink stone (the black dish), adding drops of water to form a small pool of black ink. It tells you how to care for the horsehair brushes, how to keep a fine, pointed tip, and how to use the stone chop as a signature. Travel Tip: A warm, comforting cup of tea provides a quiet, peaceful, and contemplative atmosphere. And don't forget to try out the chopsticks! Perhaps, you'll make egg rolls. Travel Tip: Roll the paper wrapper up and secure it with a rubber band to make instant chopstick holders. Your student will choose one special project this unit, such as making egg-rolls. But if we had a great kosher Chinese restaurant in town, I'd have taken my kids out. So, if you have a restaurant you enjoy, go out for egg rolls if that makes your life easier. Top Travel Tip: Keep it simple. As homeschoolers, we're often tempted to go down rabbit trails, but if you think about it, rabbit trails go here, there, and everywhere. They eventually end up somewhere, but have we fulfilled the original purpose of the quest by the time we get there? Most often the answer is no because a rabbit trail leads us nowhere. Rabbit trails can be fun and exciting because we like to discover new things, but they take our focus off the main thing. We often set off on a path with a goal, get side tracked, change directions, or don't finish what we started. Sometimes a trail in the woods is mistaken for a path, but it turns out to be a dead end. Or we take off on so many different paths that we can't make all the connections and miss the point. Instead let's take a leisurely trip, explore a side path, and have an interesting adventure — that's what Choose Your Adventure is. You'll make happy discoveries along the way, but if you stay close to the main path, you won't get lost. My two travelers each chose a different adventure. Eliana, who loves all things pretty, practiced writing in calligraphy, and Malachi, who loves games, played the domino game from the Ancient China Kit. I made egg rolls. We had a great time touring China from the comfort of our couch. Now that the weather is cooling off, we'll be cuddling up on the couch with extra blankets, lots of books, and hot tea to stay warm. So, stay tuned for our next Eastern Hemisphere edition with more travel tips as we explore North Korea, South Korea and Japan. 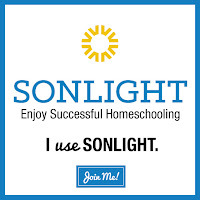 Switch to Sonlight and discover an education that is beautiful, complete, rewarding, flexible, engaging, easy to use, rigorous, inspiring, worthwhile, encouraging, guaranteed, fulfilling, life-changing, relationship-building, and an investment in the future. This looks like so much fun and lots of learning! Is it possible to use the Eastern Hemisphere Notebook pages on its own without the Instructor's guide? I so enjoy your blog posts. Thanks for sharing! Yes, I believe you can use the Notebook pages on their own without the Instructor's Guide, but you wouldn't want to be without the Journey to the Eastern Hemisphere book which is necessary to complete the pages. The IG does provide an answer key, but you could find the answers in the book. Hope that helps!